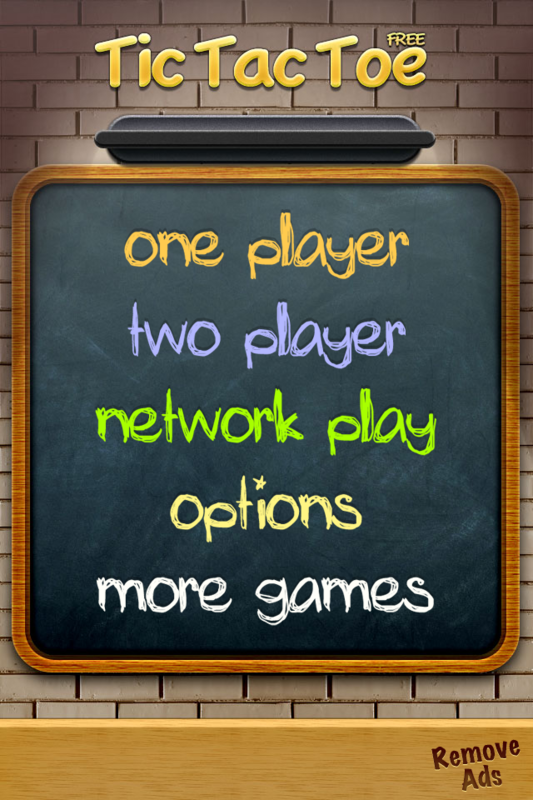 Home> Mobile> Games> iOS iOSAndroid> Kids ActionAdventureArcadeBoardCardCasinoDiceEducationalFamilyKidsMusicPuzzleRacingRole PlayingSimulationSportsStrategyTriviaWord> Tic Tac Toe ? 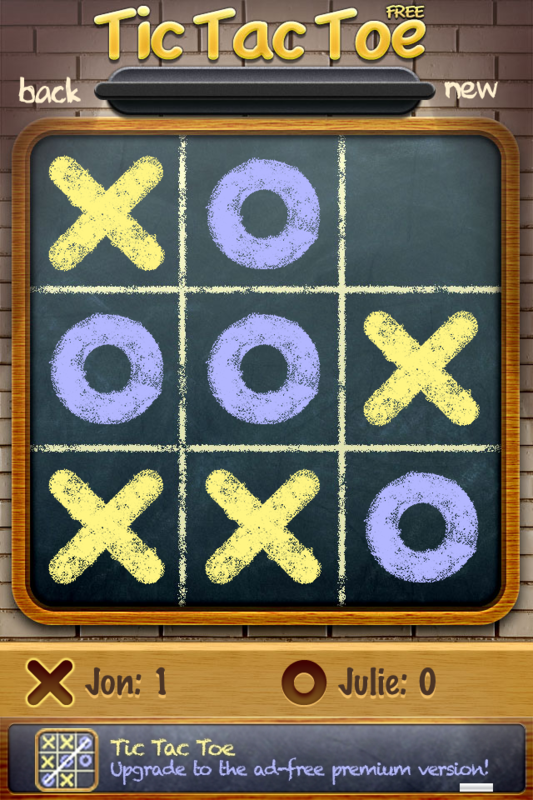 Put away your pencil and paper - now you can play Tic Tac Toe on your iPhone or iPod Touch for free. 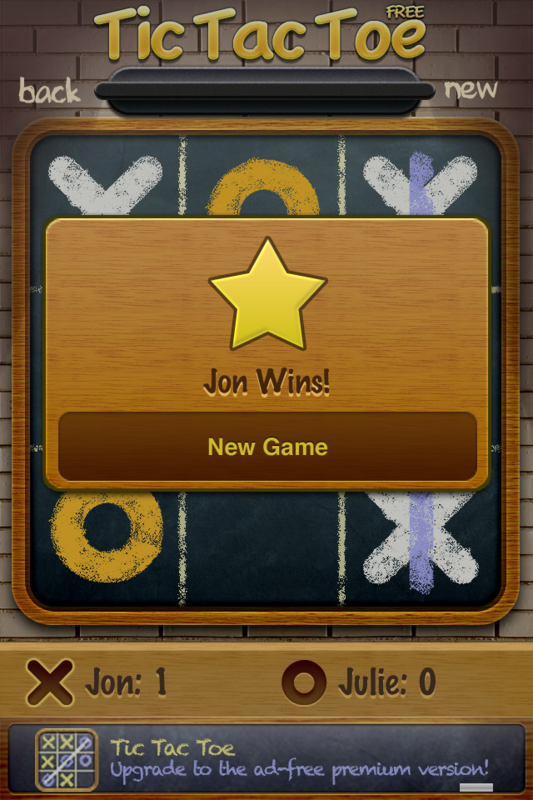 Tic Tac Toe ⋆ supports one player and two player gameplay, so you can play against another human or against your iPhone. 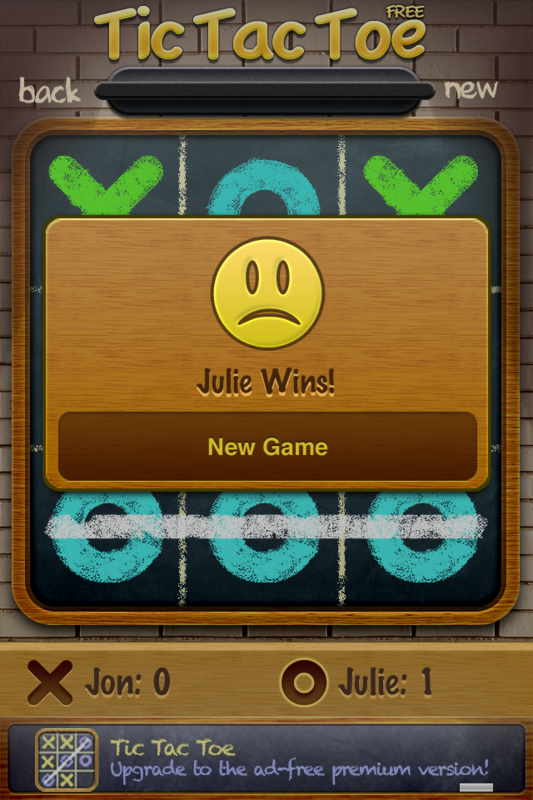 Tic Tac Toe ⋆ is supported by unobtrusive banner advertising. 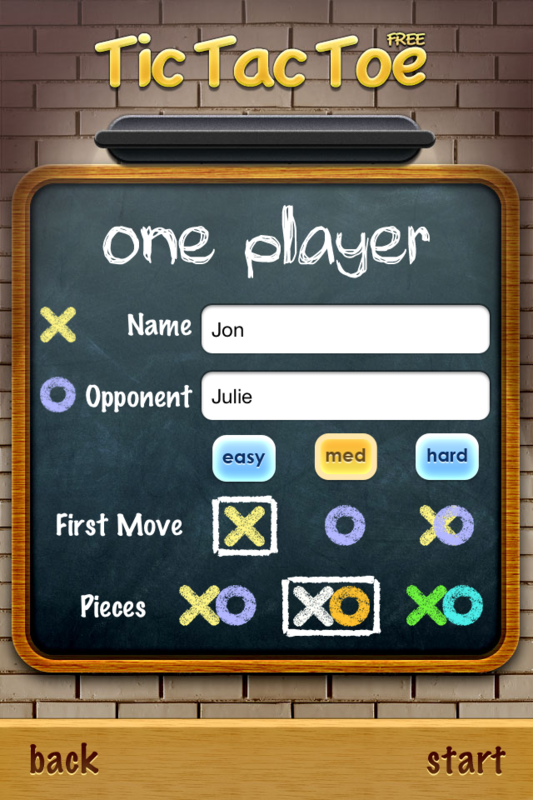 Tic Tac Toe Pro is the same great app as Tic Tac Toe ⋆ without the ads. Four in a Row ?